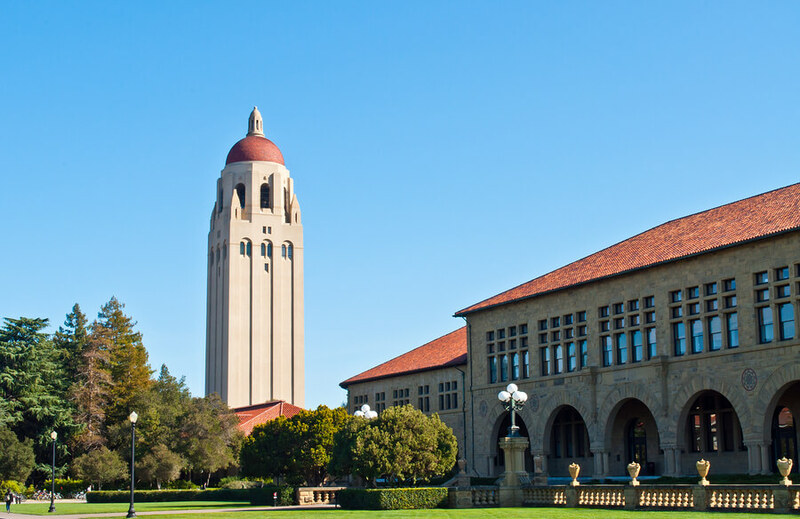 As a graduate of Stanford University’s Symbolic Systems program, 1MFWF Director Emma Plumb recently spoke to fellow alums, professors, and current students at a Symbolic Systems reunion event. Over its 30 year history, Symbolic Systems has graduated a total of about 1000 students, who have gone on to shape the tech industry and beyond, including Marissa Mayer (Google/Yahoo), Reid Hoffman (LinkedIn), Scott Forstall (Apple), Mike Krieger (Instagram), James Rucker (ColorofChange), and Matt Flannery (Kiva). An edited version of Emma’s speech follows below. Good morning everyone. My name is Emma Plumb, and I’m here to talk about the fact that much of Silicon Valley won’t hire me. Ok well, so, why not? And why should that matter to anyone else? So first—what makes me so unmarketable? I have a degree in Symbolic Systems after all—so that’s pretty good, right? I minored in computer science, and I cotermed in philosophy. I’m a published writer, and I’m a girl who codes. And Sym Sys alums are some of the most sought after graduates in the country. So what’s wrong with me? Well, the problem is circumstantial. I live in a tiny town in Connecticut, and I’ll be living there for the foreseeable future. It’s close to my family, and it makes sense for me and my husband to be there for his line of work. And then there’s the fact that we have a daughter. She’s almost two. It’s critical for me that I be heavily present in her life in these early years, which are crucial for her brain development. So at least for now, I’m only available to work part time hours. Around 25 hours a week is my sweet spot. Those restrictions make it pretty tough for me to find work, especially work that’s meaningful and challenging. Well, fair enough—so be it, you might be thinking. If I really wanted to work at a startup that’s going to change the world, or at a global powerhouse that’s already done that, I’d better be ready to jump in head first, move wherever the job requires, and go all-in. Otherwise, it’s on me for making a different choice. So, I’d like to talk about what’s wrong with that kind of thinking. When we talk about choice, things aren’t so black and white. Choices aren’t made in a vacuum, and most of us weigh a variety of factors when faced with decisions about how to support ourselves and how to spend the bulk of our time. And of course, this isn’t just my story. 43% of highly qualified women leave their careers or off-ramp after having children. 43%. That’s a whole lot of smart women who seem to be making a so-called “choice” of family over career. But this also isn’t just about women—or moms, either. You may recall the announcements that have come in recent years from high-profile men leaving their jobs, citing work-life balance as the reason: PIMCO CEO Mohamed El-Erian, Reddit CEO Yishan Wong, MongoDB CEO Max Schireson. Of course, unlike most women who quote-unquote “opt out” long beforehand, these men made it to the C-suite first—but nonetheless, men face work/life conflict too. In fact, the reality is that the majority of workers face choices every day that our current workplace model doesn’t take into account. Parents, clearly. Single parents. Parents of children with special needs. And not just parents: as our nation ages, more and more older workers will want and need to phase into retirement with reduced schedules. People with disabilities or health concerns may be unable to commute, or may need flexibility for self care and doctor’s appointments. Caregivers of, say, aging relatives who need them nearby, need that flexibility too. Not to mention folks who just work better at certain times of day, or need quiet and solitude to perform at their best, or who have volunteer commitments or personal passions that are part of their definition of success. All of these folks—all of us, in fact—need a new way to work, one that allows us to juggle our personal and professional commitments in a way that makes sense for both. Some of you might be thinking—but wait, many folks out here are indeed championing a new way to work. We have Chief Happiness Officers. We have free food. We have some of the best paid parental leave policies on the books. But that’s not enough. We know it’s not enough, because Silicon Valley has a major diversity problem, paired with a major talent shortage. What we really need is for companies to expand and encourage access for both women and men to flexible schedules, remote work, and part-time and job-sharing opportunities at all levels. That’s how to increase diversity up through the C-suite. It’s also how to tackle the talent shortage. Because in the long run, the pervasive “ideal worker” model of someone who is all-in at work and has no personal life is unrealistic and unsustainable—not to mention detrimental to our creativity and ingenuity. Now, Silicon Valley isn’t the only place hooked on the so-called “ideal worker”. But this area of the country, of the world, sets the bar for “disruption,” right? And Symbolic Systems grads are the change-makers, right? So my hope is that this group here will lead the way when it comes to changing the nature of work, and create a workplace that works for us all. The truth is I’m not really looking for a job. I’m the director of an advocacy campaign around all of these issues called 1 Million for Work Flexibility. I work part time, from my home office. But I’d like to think that if my daughter one day has a degree in Symbolic Systems, she won’t be held back by a broken workplace model, but instead will be able to use her degree to its full potential, and to hers. If you are still interested in a part time coding job, please call me. My Silicon Valley experience says they won’t fund women or minorities. They will, hower, fund white males who have stolen the idea and business of women and minorities and that has been my experience – specifically Airbnb was my idea and business before Brian Chesky and his friends arrived to stay in one of our homes. The idea for Airbnb came from the business I was developing without lots of money because Silicon Valley was a place not even interested in returning my phone calls.